KJ Alphons also attacked the Congress for opposing the initiative, saying the opposition party has a "poor memory" and they are forgetting that they had also engaged a private player to maintain and operate the iconic Humayun Tomb. New Delhi: Notwithstanding criticism over the government's decision to give Red Fort to a corporate for upkeep, Tourism Minister KJ Alphons today insisted that his ministry will expand the 'Adopt A Heritage Site' project to put more monuments under private care. The minister also attacked the Congress for opposing the initiative, saying the opposition party has a "poor memory" and they are forgetting that they had also engaged a private player to maintain and operate the iconic Humayun Tomb. 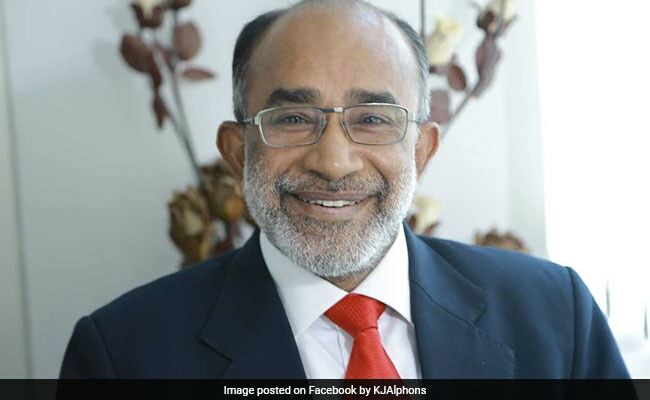 Mr Alphons told PTI that he was not worried about the controversy over the adoption of the Red Fort by the Dalmia Bharat Group and rejected reports that that the 17th century monument was being 'handed over' for Rs 25 crore to the corporate house under the 'Adopt A Heritage Site' scheme. "It is an executive decision taken by the government to sign the MoU. No changes to the present project will be done. We will only expand the project to include more such sites and monuments," Mr Alphons said. Explaining the 'Adopt A Heritage Site' project, the minister said its aim is to entrust heritage sites and monuments and other tourist sites to private sector companies, public sector companies and individuals for the development of tourist amenities. Mr Alphons said that during the UPA rule, Humayun's Tomb was given to the Agha Khan Foundation for maintenance and operation, while the Indian Hotels Company was given the responsibility of the Taj Mahal, and Apeejay Group of Hotels for Jantar Mantar under corporate social responsibility through the government's National Culture Fund (NCF). "The Congress suffers from poor memory... and the UPA had given five monuments to private bodies. It was a great experiment, but it had some issues. We have repackaged the initiative and making sure it works," he said. The minister also emphasised that under the new scheme the corporates have to spend money and the government will not give any funds. "Here all they get is some branding, and for that too, they will need our approval." A controversy broke out last week when cement manufacturing company, Dalmia Bharat Group signed an MOU with the tourism ministry for the upkeep of Red Fort at a cost of Rs 25 crore over five years. 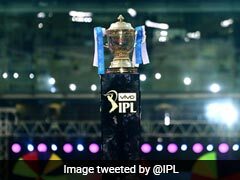 Opposition parties, including the Congress said that the government was 'handing over' the symbol of India's independence to private parties. Meanwhile, TMC MP Derek O'Brien refuted reports that the Parliamentary Standing Committee on Tourism, headed by him has approved the tourism ministry's proposal to go ahead with a "corporate adoption" of the Red Fort. "Our leader (TMC chief) Mamata Banerjee had earlier tweeted and said that the government must put a stop to its decision of allowing private companies to adopt the Red Fort. The TMC wants immediate scrapping of the decision," the TMC leader told PTI. According to the tourism ministry officials, the 'Adopt A Heritage Site' project would begin with 93 ASI ticketed monuments and would be expanded to other natural and cultural sites across India. "The problem is that they (opposition parties) do not read. They are hugely misinformed. It is very clear from the MoU that the corporates will not touch the monuments. They will only provide and maintain basic amenities around the site so that we can increase footfalls," the minister said. The minister added that "everyone talks about our 5000 year old heritage, but no one will lift a finger to preserve it. This is our way of getting the community involved, of telling them to own their heritage. There is nothing wrong in letting corporates do their bit under CSR," he said. Separately, historians, conservationists and artists today spoke out against the maintenance of the Red Fort being "entrusted" to cement company Dalmia Bharat Group, which they said has no known credentials in the work of architectural preservation or heritage management. Historian Irfan Habib said that the new scheme was "flawed". "First of all, if you had to implement this scheme to adopt heritage monuments, they should have experimented with a lesser known structure and not the iconic Red Fort. That is the basic flaw of the scheme," Mr Habib told PTI. "My worry is the kind of commentary through audio books and others that will be supplied to the tourists," Mr Habib said, adding that the move was akin to "selling" it to a private player. A statement from SAHMAT, signed by noted historians and artists, brought up the demolition of the Babri Masjid to highlight its concerns over the agreement and alleged that the present regime in power has "an unsavoury past in regard to our heritage". "The RSS has long been propagating the cause of declaring all major medieval monuments, including the Taj Mahal and Red Fort as Hindu structures," it said. The Indian History Congress (IHC), the largest body of professional Indian historians, said that it was troubling that the company has no claim to any experience in maintenance, conservation, preservation and interpretation of monuments. "There is ample room to fear that in order to attract tourist traffic it may propagate false or unproven interpretations of particular structures in the complex. Once such claims are set afloat, especially when they are of a sectarian character, it is found extremely difficult to get rid of them," the IHC said in a statement.